THE DIRTY ARMY: Meet crystal, when shes not fuking men for pepsi she’s ignoring her kids while she’s getting high in her room. 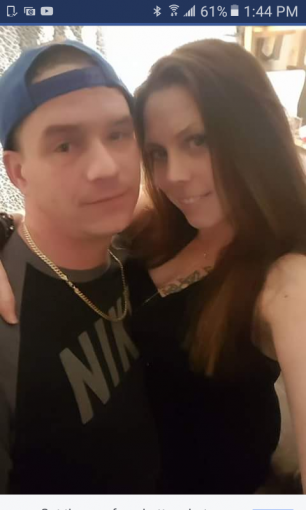 Shes a 35 year old welfare bum, she spends every dime she has on pepsi then calls her grandmother claiming that she didn’t get her check then turns around and spends the money her grandmother sends on pepsi too, while leaving her 3 kids without food. Her house is extremely dirty, there’s always junkies coming in and out of her house or her “johns”. Ladies watch your men!! She doesn’t care who she sleeps with, she’s a home wrecking slore. If you’re lonely & have $20 hit up Crystal! She’ll gladly fuk you to support her habbit. Didn’t she just get charged for selling illegal drugs? I read it in the paper, I looked her up on Facebook & found out she’s “engaged” to a known junkie. I believe this post, only junkies date junkies. Low life losers! Get a job like the rest of us & stop living off the tax payers dollars! Why is she even alive? Just a waste of skin and a sad excuse of a mother. P.s she’s probably high while doing all those so called “things” with her walking checks, oops I mean kids, not that she looks at them that way. This is why I moved far away from Belleville, full of junkies looking for their next fix! This post is total crap. I know this woman and she is the exact OPPOSITE of what this person wrote. She is ALWAYS doing stuff with her kids and standing up for her kids and she’s lways there for her friends – you know the ones that aren’t out to use her like this person must have been. Her kids come first. She ALWAYS had food in the house and is always cooking and her house is NOT disgusting. Crystal is the EXACT OPPOSITE of the bs this person posted!!! Seriously, this is beyond messed up and so far from the truth it’s insane. I know this woman. She is ALWAYS spending time with her kids and always cooking for them and her house is always stocked with food. Her kids come FIRST and anyone who knows her knows that and has seen that. She’s got a huge heart. Everything the poster put on here is actually the OPPOSITE of what this woman is like. Projection much?? This sounds like whoever wrote this is a very bitter and sad woman,i personally knoe this girl and have never seen her fridge not stacked with food. This is a sad attempt at trying to tear a strong woman and great mother down.